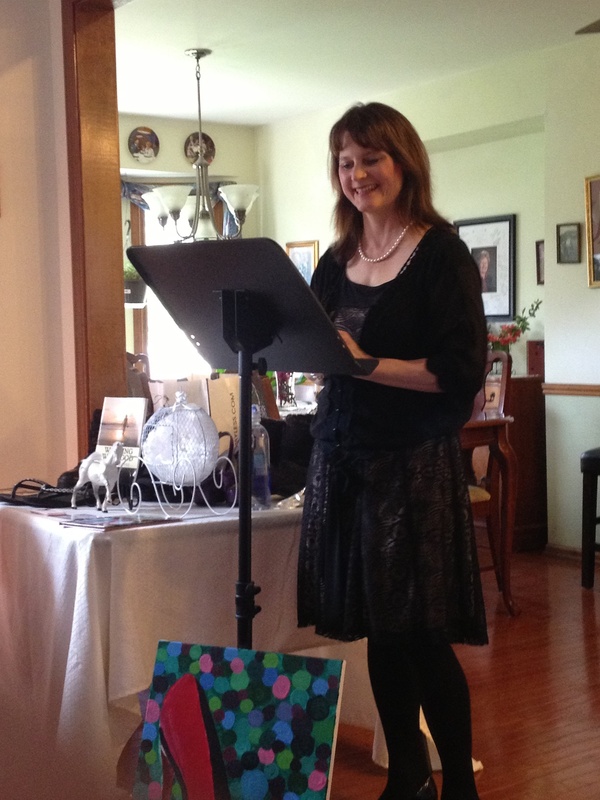 Yesterday I was honored and so happy to speak at the Olathe, Kansas Aglow. 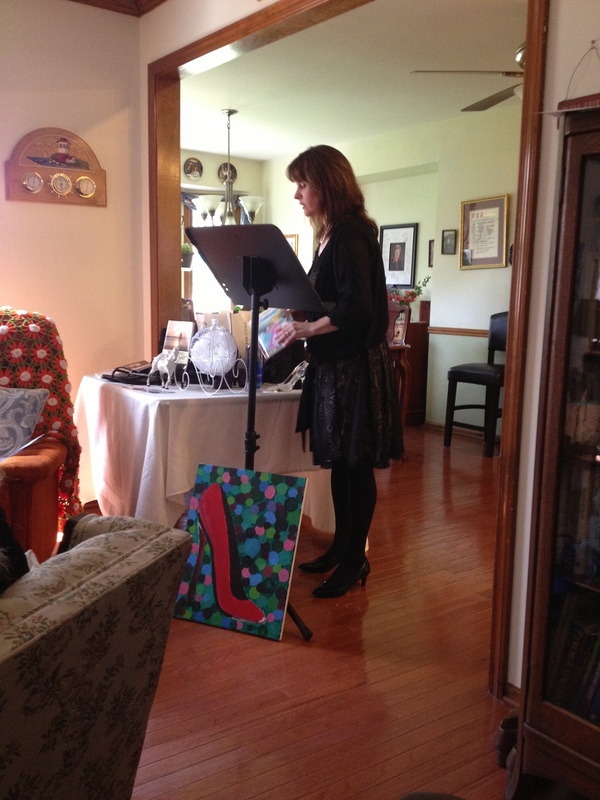 I spoke on my signature talk, The Cinderella Story: The Power of Shoes, which is also the title for my new eBook. (It was an Amazon Best Seller in its category and sub-category the first day. You can get it at Amazon by clicking here for just $2.99). God amazes me how He orchestrates things. Olathe is my old stomping grounds. It is where God first called me to ministry. In 1989, when I was in the middle of a suicidal depression, living in low-income housing with my precious little girl Heather in Olathe, I was crying one late night in my bedroom, having no hope. I felt guilty for feeling this way since I had Heather, but I was filled with emotional pain. At the time, this seemed impossible. How could I help set the captives free, God, I prayed and cried, when I was a prisoner myself in a dark chamber of depression, panic attacks, fear, and hopelessness? Yet that word from God has now come to pass. Today I’m an international speaker and author, encouraging women to use their gifts for God’s glory, doing what they love. God turned things around 180 degrees, and has used the most painful things in my life, such as my childhood sexual and physical abuse, my 3 abortions, and adulterous relationships, to minister to other women who have been through the same hurtful experiences to help set them free. As I spoke at Aglow, I realized, humbled and so thankful, that God had brought me full circle for the glory of Jesus. 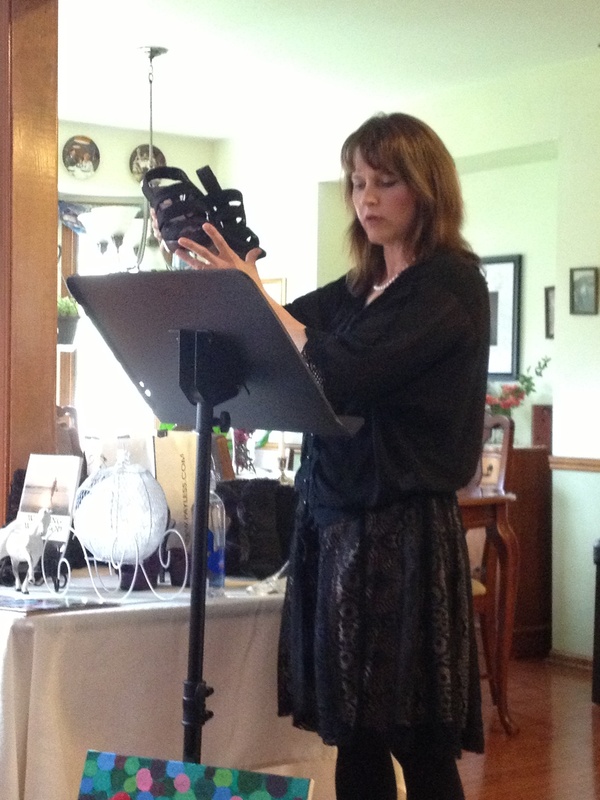 I’m a visual learner and I love using visual aids (what some call “props”) when I speak at live events. I requested a small table to put my visual aids on, which had the Cinderella “pumpkin” white carriage and dappled grey horse, my Cinderella child’s story book, many of my shoes, and my Cinderella glass slipper, which our daughter Heather bought me as a Christmas gift. 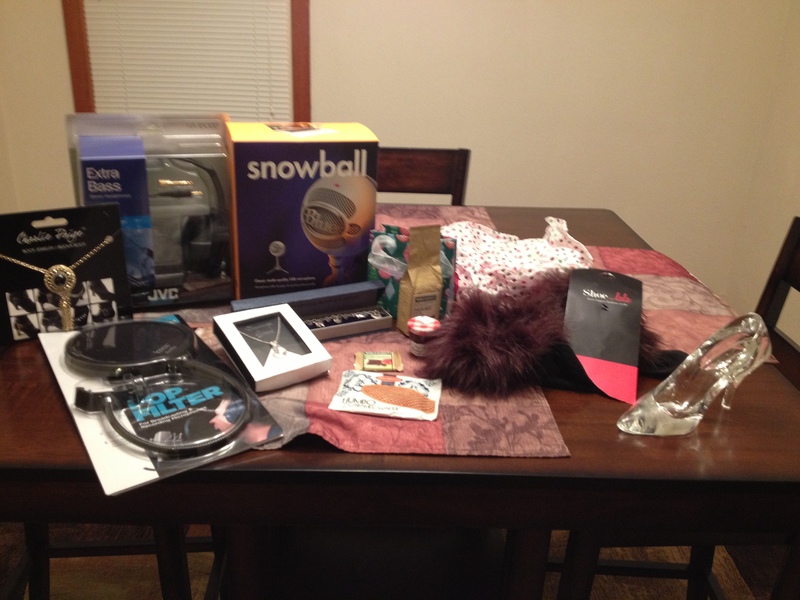 You can see it in this pic below with my other Christmas gifts. 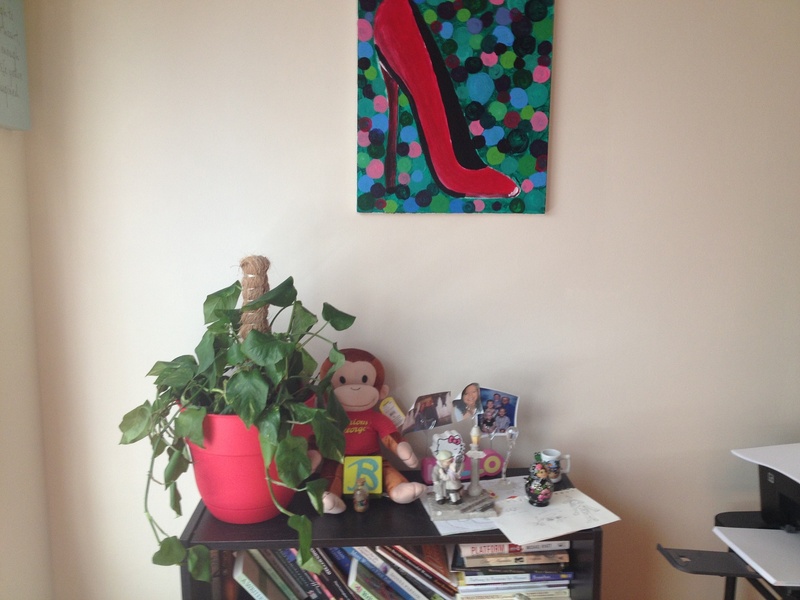 I also used the red shoe picture that our daughter Heather painted at a painting party with friends, which she gave to me. It hangs on the wall in my office where I work each day. One of the few good men attending the event commented later that he really enjoyed the visual aids. 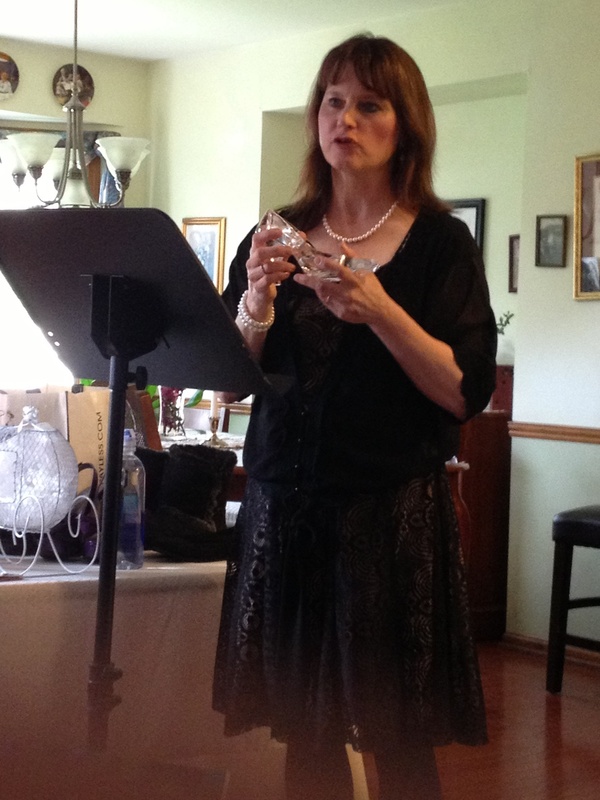 One of the women in the audience wanted the glass slipper, asking where I bought it! She said she loves the story of Cinderella. It resonates with women, and most women love cute shoes! 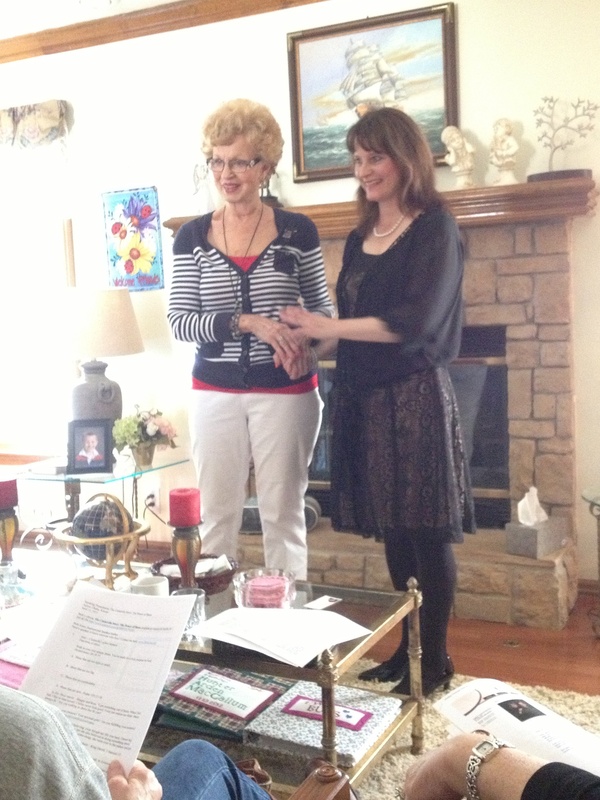 My beautiful, precious friend Joanie Qualls introduced me to speak at the meeting. I met Joanie and her husband when Ray and I went to a marriage retreat in Branson, MO, last year. Joanie and I connected in heart instantly. I just love her! 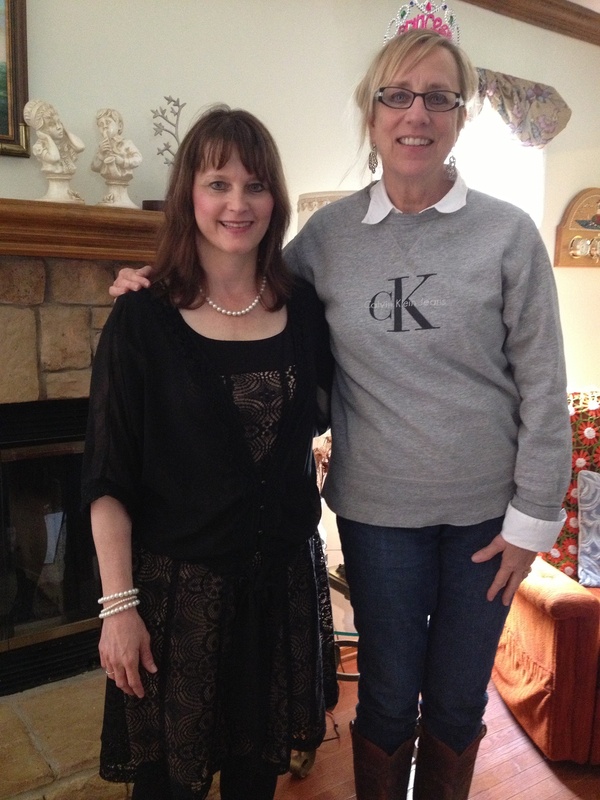 Below here I am with the Olathe Aglow leader, JoAnn Walsh. 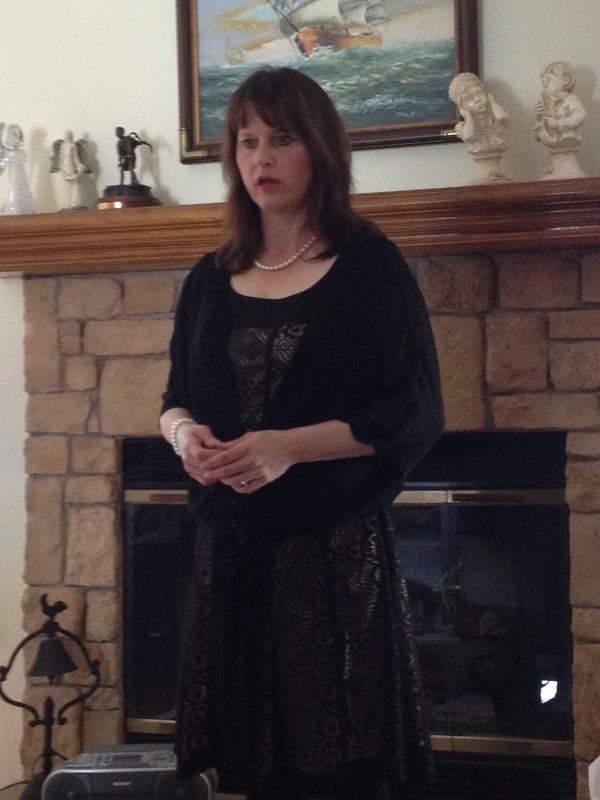 She and her husband Phil generously host the Aglow in their home. JoAnn is such a cute, sweet little thing! She and the other ladies prepared a wonderful brunch before I spoke: spinach quiche, ambrosia salad with blueberries, coffee cake, and more. JoAnn had a lighthouse in her front yard and a picture of a lighthouse hanging on the wall in the living room, where the meeting was. Their home is truly a lighthouse for the Lord! When I speak at live events, I like to give away a gift (door prize). This is also very effective for building your subscriber list! (You can sign up for my mailing list by going to the top of the page on the right-hand side and enter your name and email address. You’ll receive my video and bi-monthly newsletter with encouraging tips, videos, and the latest updates). In exchange for their name and email addresses (with their permission), you can have a sign-up form “for the opportunity to win a free gift today!” You give away something of value (either physically or virtually). I gave away a pretty “Cinderella” bag, a cute toy princess tiara, lavender bubble bath, a Cinderella-blue bath sponge, cute Walk by Faith shoes notecards, a pen with different sayings on it like “Let Go and Let God,” a Dove chocolate bar, and a physical copy of my book, Promises In The Dark: One Woman’s Search for Authentic Love. The winner was Debbie, a multi-gifted woman, pictured below. I just loved her! 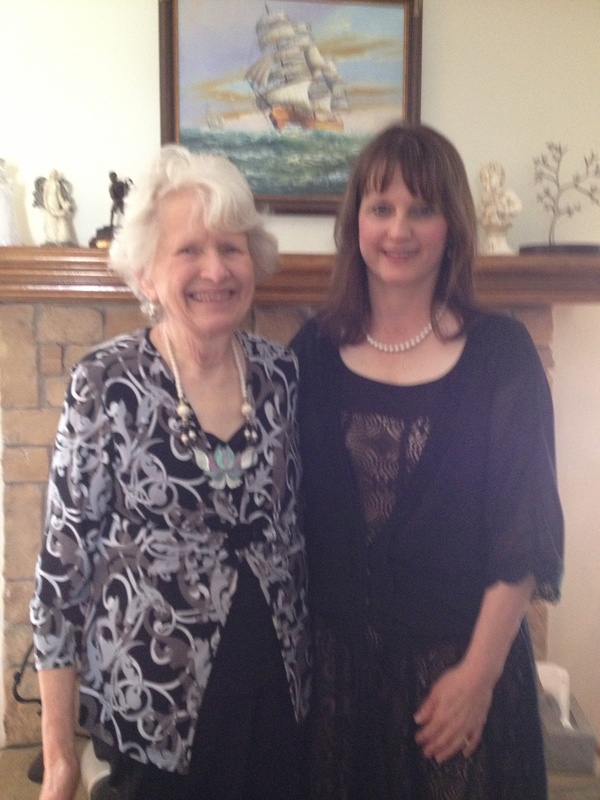 She will be speaking at the Olathe Aglow in November 2015. I used my visual aids of the Cinderella glass slippers and my shoes to visually and symbolically illustrate walking in your own unique glass slippers~ God’s Divine purpose for you. 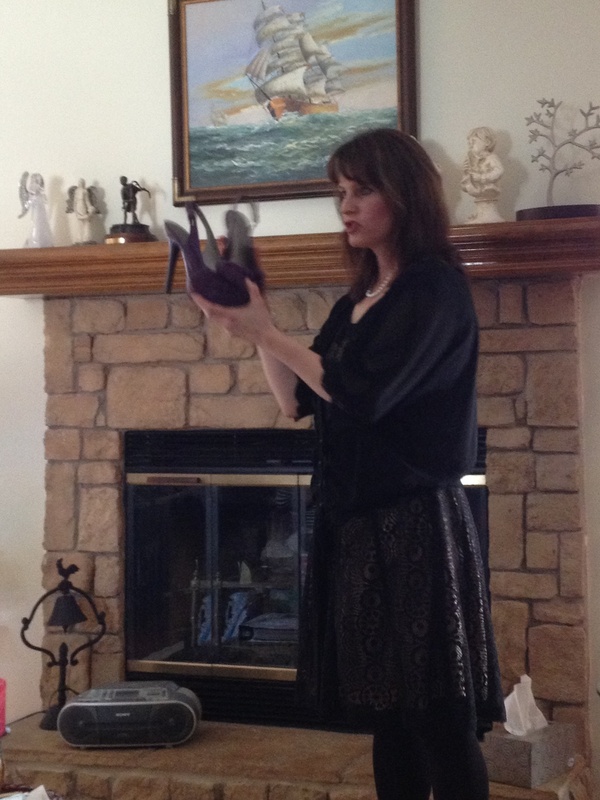 Below I’m showing our daughter Heather’s purple heels. Are you walking in your unique shoes~or are you jealous or envious of someone else, wanting to walk in her shoes? You can’t succeed trying to walk in someone else’s shoes! I’m so honored God chose to use me there and had so much fun speaking, meeting the women, and praying for them. The meeting, which is usually held until 12 noon, lasted until after 2 p.m.! 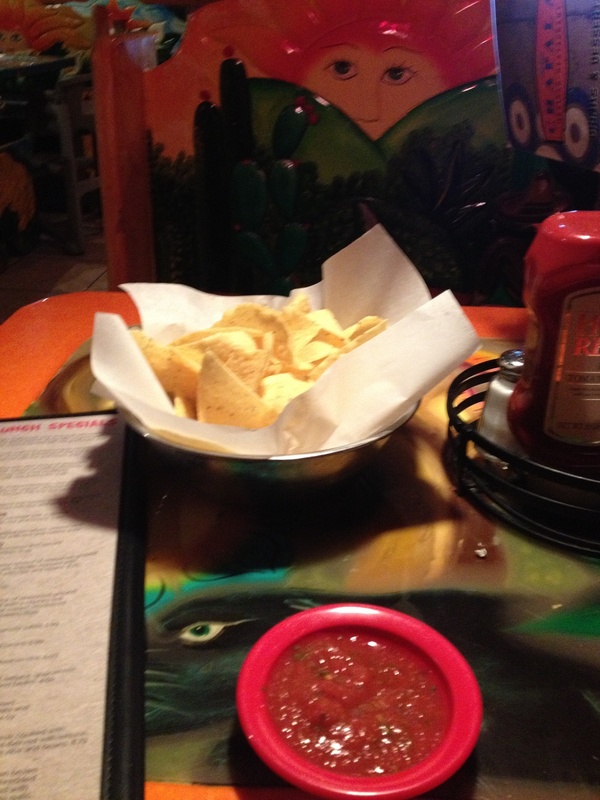 Afterwards, of course, I had a Mexican late lunch (one of my favorite meals! ), treating myself. 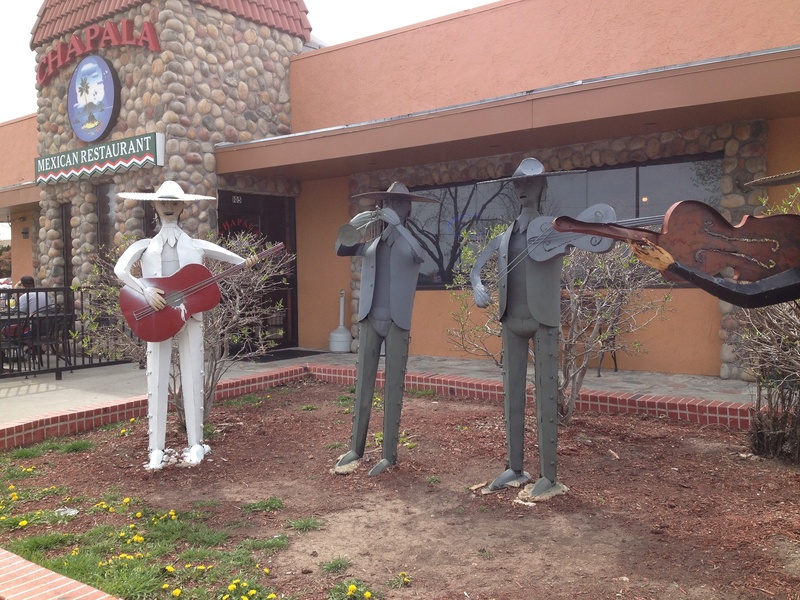 The service was good and outside they had statues of a serenade of Mexican men in hats. The Mexican meal was the perfect touch for a great day. Thank you, Jesus, for all You have done and will do! I have written a book on this signature talk topic, which became an Amazon Best Seller the first day in its category and sub-category: The Cinderella Story: The Power of Shoes. You can buy it for just $2.99 by clicking here at Amazon.